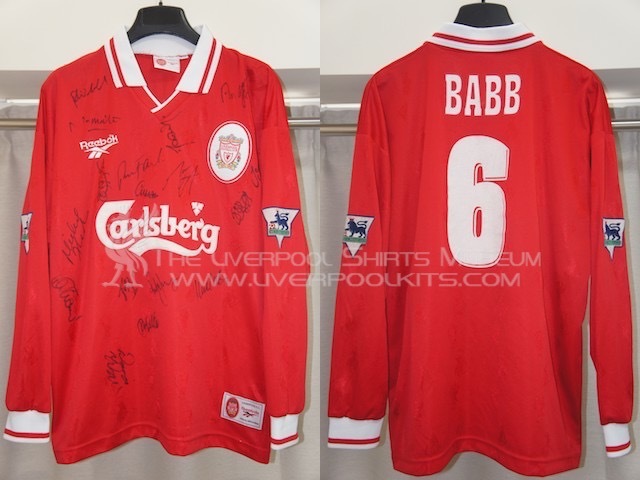 This is the first home shirt released under the Reebok era and spanned for two seasons from 1996-1997 and 1997-1998. This shirt should be revolutionary design as it's the first time in over 30 years a Liverpool shirt comes with a neck-collar. 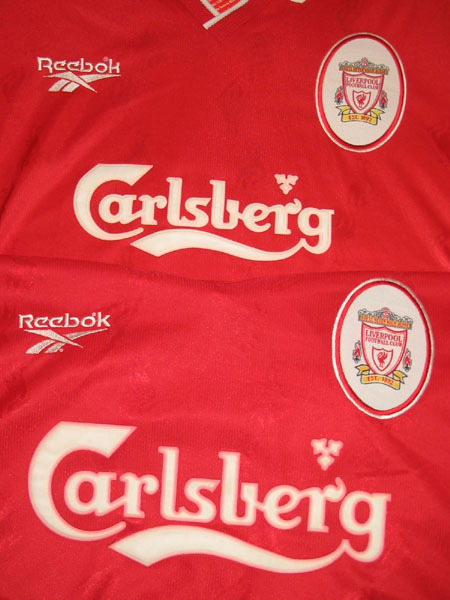 The genuine player shirt used for domestic competition continues to have bigger Carlsberg sponsor logo when compared with replicas. 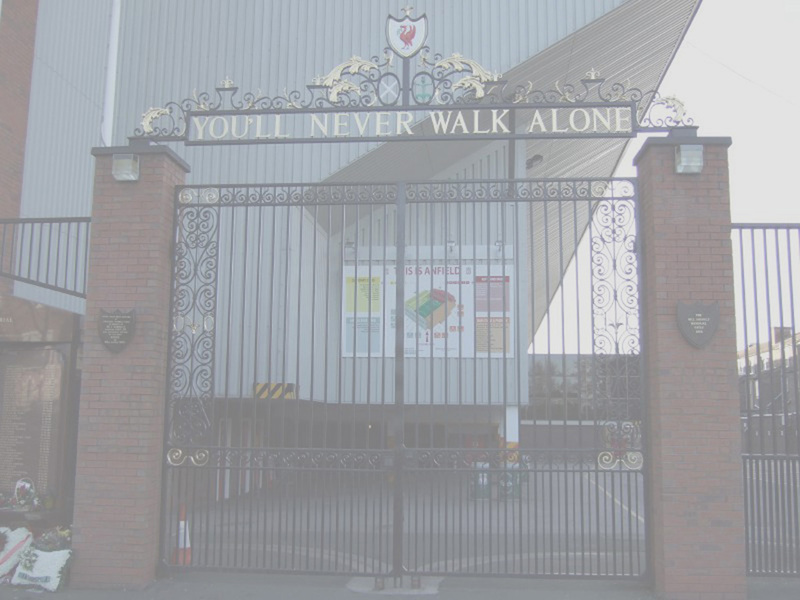 Liverpool 1997-1998 Home Player Shirt - Number 2 shirt belongs to defender Rob Jones. This is not a 1996-1997 shirt because unified Premier League names & numbers were started in use from season 1997-1998. 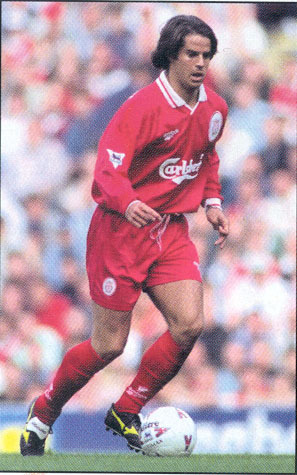 Featured Jamie Redknapp in action wearing a long sleeved 1996-1998 home player shirt. 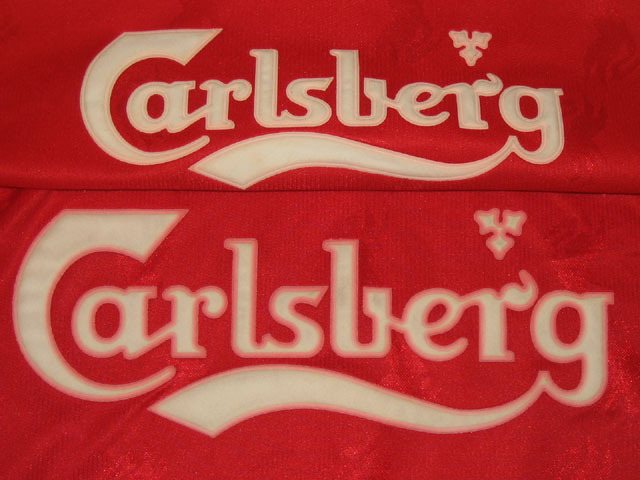 The major difference lies in the Carlsberg sponsor size - the upper one is from a replica shirt, the lower one is from a player shirt used for domestic competitions. 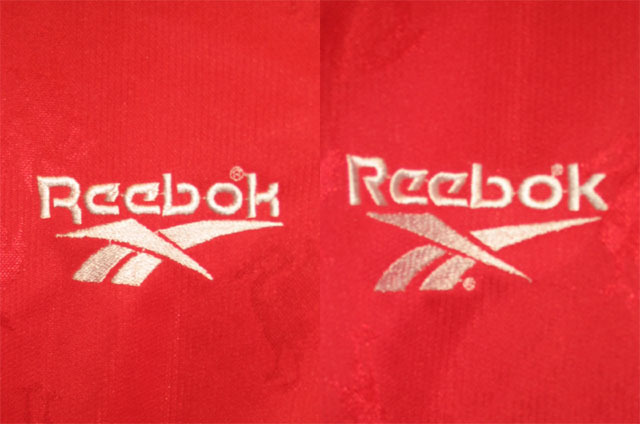 Upon a direct side-by-side comparison, an additional registered mark is found around the Reebok logo only on the player shirt (right side). 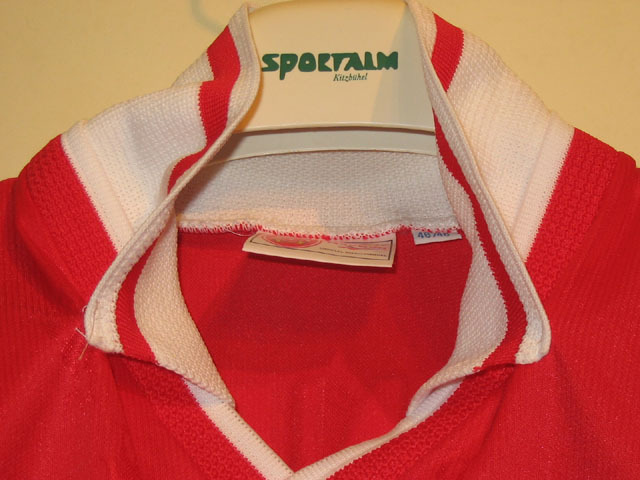 Though this shirt comes with an unprecedented neck collar design, the genuine player shirt's collars are in fact stitched down on the shoulders position. That means one cannot flip up a player shirt's collar completely.